Research into journey planning using schematic maps is a particularly rich domain, a microcosm of higher cognition. 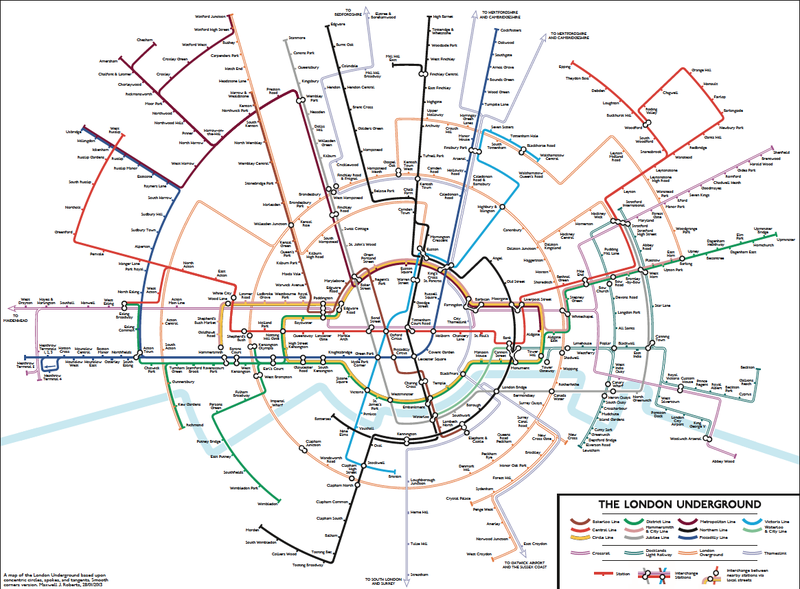 Creating an effective map is not a trivial problem: designers are often conservative, with standard rules dominating (with the London Underground map, horizontal and vertical straight lines only, with diagonals at 45 degrees). Our own research (see www.tubemapcentral.com) shows that breaking these rules in a principled way can result in designs up to 50 per cent faster for journey planning than official maps. Recently, I have been experimenting with novel designs that are based upon concentric circles and spokes. These score poorly for simplicity, but with a massive payback for coherence: cities are forced into unprecedented levels of organisation. Despite their alien appearance, they have generated very positive responses from individuals, but ever mindful of the dissociation between objective performance and subjective preference, usability studies will commence this year.